The two on the left are Dark Brown and the two on the right are Black. The goatskin lacing has a slightly pebbled grain and is firm with little stretch. The flat lacing is precisely cut and formed for consistent lacing and braiding. It comes in two widths and is put up on 25-yard (75 foot) spools. The 3/32" spools weigh ~1.7-2.2 oz. 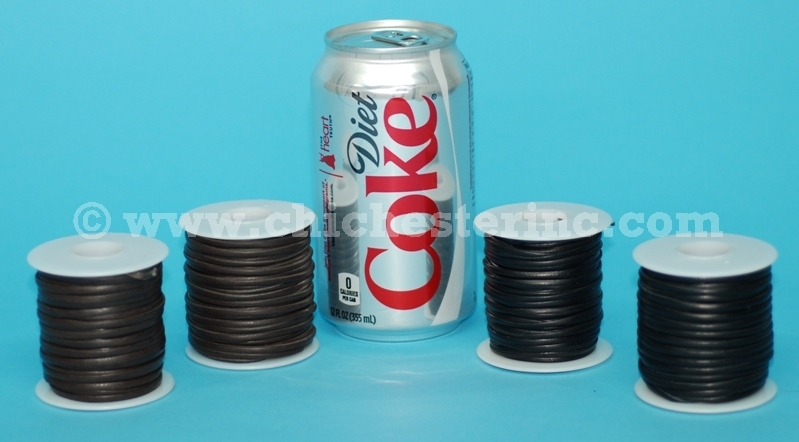 The 1/8" spools weigh ~1.8-2.1 oz.